The former Moorish town Narixa was already mentioned in the 10th century as a city that produced fine silk textiles. The historic centre maintains still its Arabic past, with narrow streets and whitewashed houses. In the town centre we find the famous Balcón de Europa, a fantastic viewpoint over the Mediterranean Sea, whose name was given by Alfonso XII in 1885. Some monuments are the El Salvador Church, next to the Balcony, from the 17th century, constructed in a Baroque-Mudejar style. Another religious monument is the hermitage Nuestra Señora de las Angustias from the 16th century and paintings by the master Alonso Cano. In the historic town centre you can find a charming combination of shops for local craftwork, bars and Restaurants. Typically for the area around Málaga is the “Pescaito frito” (fried fish), that you can find in the Beach Restaurants and Fish Restaurants. 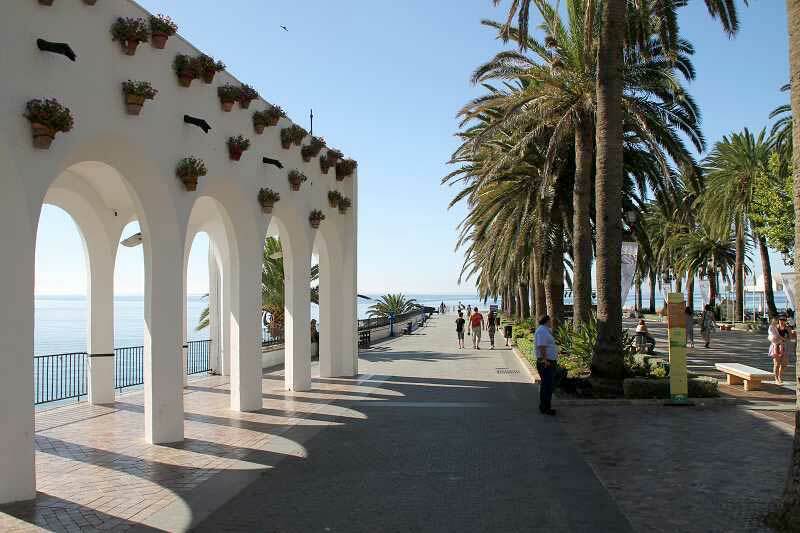 Visitors in Nerja can find as well many restaurants that offer a great variety of international cuisine for all tastes.